Combining Laotian and French designs, Villa Senesouk Hotel is a 5-minute walk from Luang Prabang’s Central Evening Market. Featuring views of Vat Sene Temple, it offers free Wi-Fi in rooms. Villa Senesouk’s air-conditioned rooms feature wooden furnishings. Each room has cable TV, a fridge and tea/coffee making facilities. The private bathroom provides a hot shower and a hairdryer. The hotel offers the convenience of a 24-hour front desk, which provides luggage storage and a safety deposit box. Laundry services and airport transfers are also available. Coffee and tea are served for free. 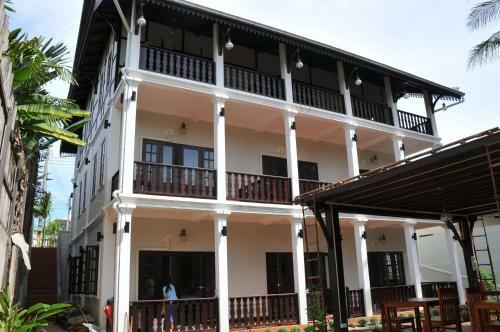 Villa Senesouk Hotel is a 15-minute drive from Luang Prabang International Airport. The Royal Palace Museum is 5 minutes’ walk away.